I am slowly beginning to understand that doing a diploma and travelling at the same time is quite challenging. The most challenging aspect is that of not having any fixed projects in mind. Back in the UK I have family and friends lining up to have their property “redesigned” or our very own project in full swing, endless possibilites of potential design and community integration and initiatives. Life on the road is very different and I constantly have half and eye on potential projects, people in need of volunteers and interesting places to visit. 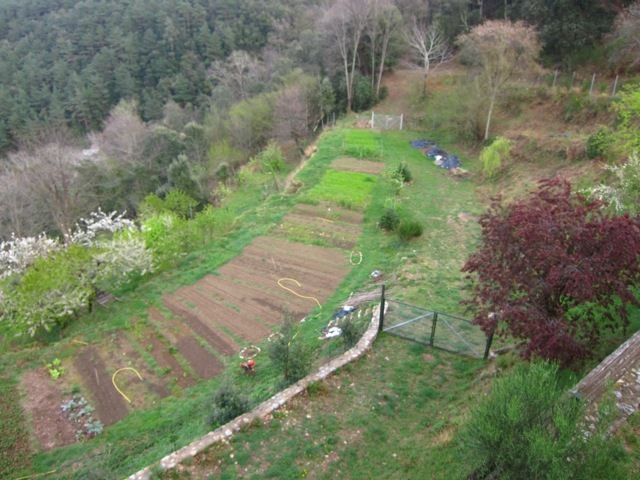 The Permaculture Global network is great for finding amazing projects but they mostly have a clear vision already and less opportunity for an amateur actionist like myself. So for now I have turned to wwoof hosts. I have found that the hosts we have visited so far are organic farmers keen to learn more about permaculture techniques. This for me is an ideal place to express some creativity in design whilst helping people further their business, increase their family food supply, decrease costs and work or just expand their understanding of what is possible. I found whilst wwoofing in the Sierra Nevada that not everyone is open to a new being entering their farm and offering to “redesign” it. Some folk quite simply have their way of doing things or actually just need help on the farm by volunteers in order to survive. 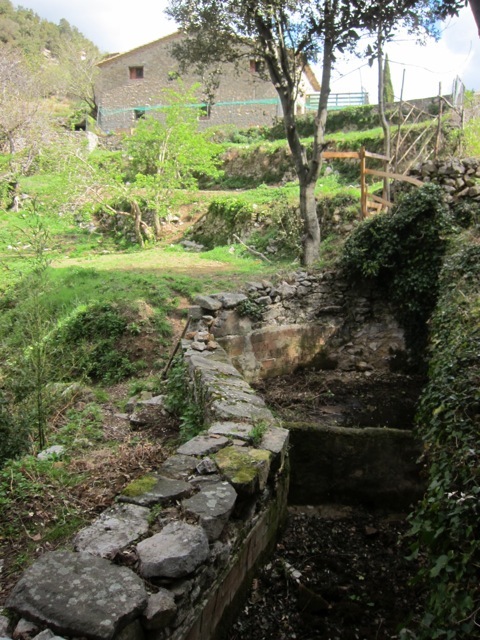 At La Granja Finca we had a great time wwoofing and I was totally excited by what was possible on the farm but Kate needed help digging a natural swimming pool so that is what had to be done. 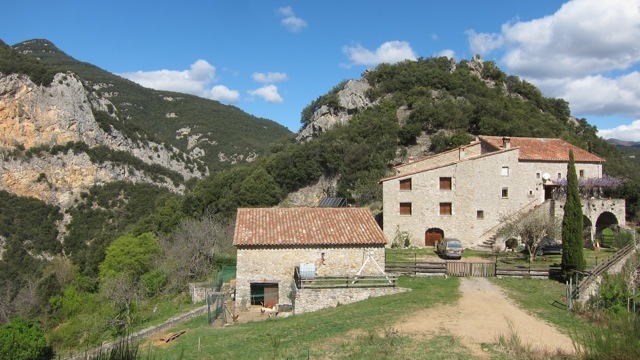 A week or so later we found ourselves in the Pyrenees of northern Spain, at Can Coll. Amanda and Dino had been living in the farmhouse there for 3 years. They are establishing a tourist business, a place for people who enjoy natural surroundings and a relaxing place to stay. The place is stunning! They also grow a lot of their own food and preserve much of it for the winter months too. They are given large amounts of wild boar, excess to hunters needs, which they process into cured sausages. They have many fruit trees and soft fruit on their terraces plus some chickens and ducks. They were not so open to what seemed like “crazy” ideas from me due to the aesthetics of the property for tourism and the fact that it’s rented but they seemed keen to understand some new ways of thinking and I was hopeful of an opportunity to express some creative design. They are keen to expand the productivity of their property. 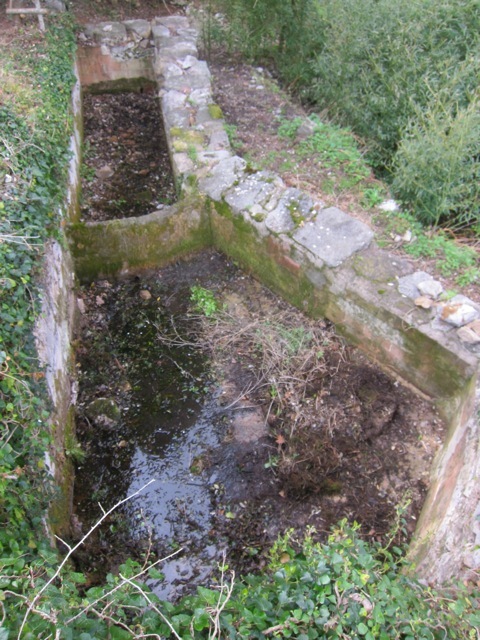 Whilst at work in the garden on day 3 I noticed two large cisterns (or tanks) and a small trickle of water. To my excitement and in keeping with most of my learning material at present I immediately thought of the possibility of an aquaculture system. I mentioned it to Amanda and Dino and they seemed open to the possibility also. So the basis of the project is an aquaculture system taking into consideration the other needs and resources on the property.